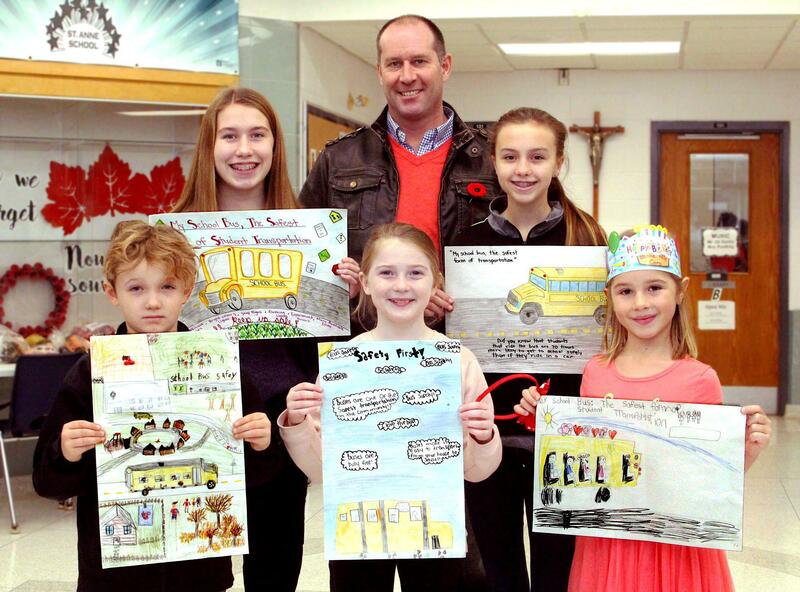 Local school bus operator Blenheim Bus Lines organizes a poster contest every year during School Bus Safety Week at St. Anne, Harwich-Raleigh and W.J. 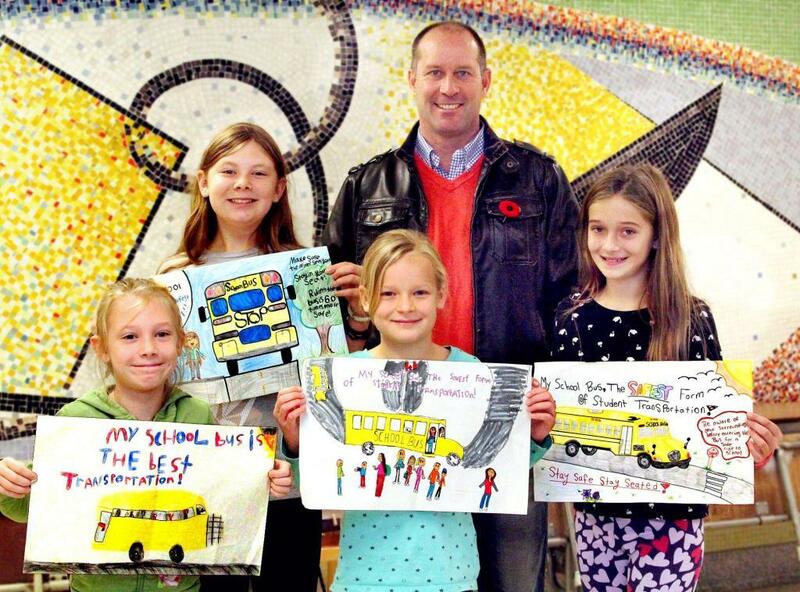 Baird schools in Blenheim. 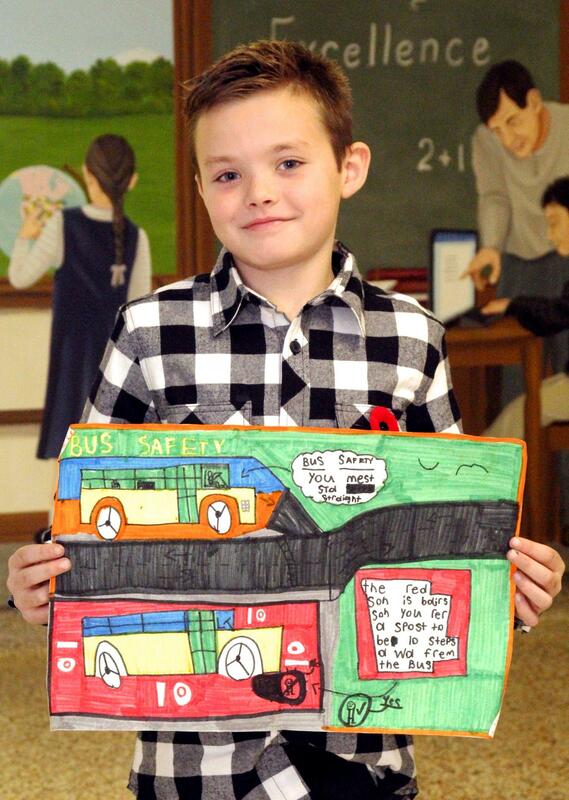 Participating students from all three schools were asked to create a 11 x 17 poster based on the theme “MY SCHOOL BUS THE SAFEST FORM OF STUDENT TRANSPORTATION”. All First Place Winners received an Extra Large family pizza and Chicken Wing Combo Dinner from Wayne’s Pizza in Blenheim and all Second place winners won a gift card to Chatham Galaxy Cinemas. 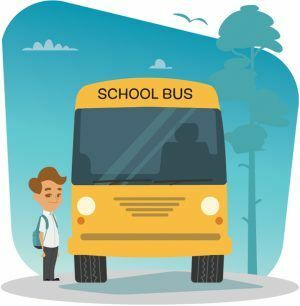 CLASS would like to thank Blenheim Bus Lines for putting on the contest and all of the participants for their commitment to school bus safety! Check out the pictures below showing off the winning entries. Congratulations to all those who participated!